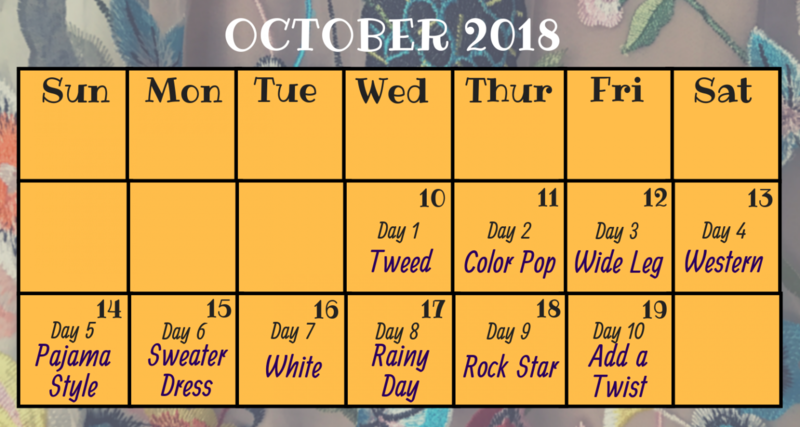 Welcome to the October EasilyDressed Style Challenge! The Challenge starts October 10th! A 10 Day Monthly initiative to empower women to feel confident, beautiful and happy about themselves; to refine their sense of style and to review and improve their wardrobe. 2. Take a photo of your outfit daily. 3. Every day for 10 days, post your photo in our Facebook Group. A designated post will be created at 12PM EST every day under which all participants can submit their photos. Along with your picture, please write what you are wearing! Your photo must follow the day’s theme and it must be a current photo. There is no advertising in the challenge posts! If you’d like to discuss advertising, please contact me.